Last year Huw Collingbourne was highlighted here on NetBeans Zone in an interview about his work as a Java course developer. 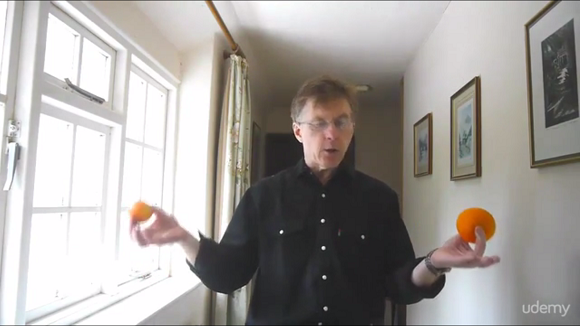 We caught up with him again about his latest course, Java Programming - The Master Course. Hi Huw, you've created another great and thorough Java course. Tell us about it! Yes, this is my most recent online course and I've tried to build upon my experiences with my previous courses to make sure it's the best! Can you tell us a bit about the structure of the course? 2) the sort of person who wants to pick and choose - who might decide to jump right in towards the end of the course - to learn about serialization, say, and then go back to and earlier lesson find out how to handle exceptions. 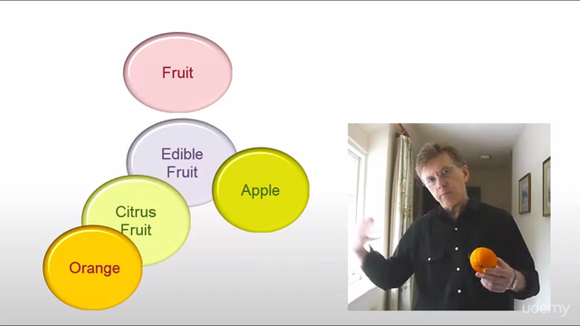 I've structured the course in such a way that it should satisfy both types of learner. All the source code is provided ready-to-run in NetBeans and most sample projects are very small to illustrate only one specific topic at a time. I've also provided one more substantial program - a simple text adventure game - to let people try out something a bit more complicated and (if they want) go on to write their own game based on my code. There's now also an eBook that's part of the course? 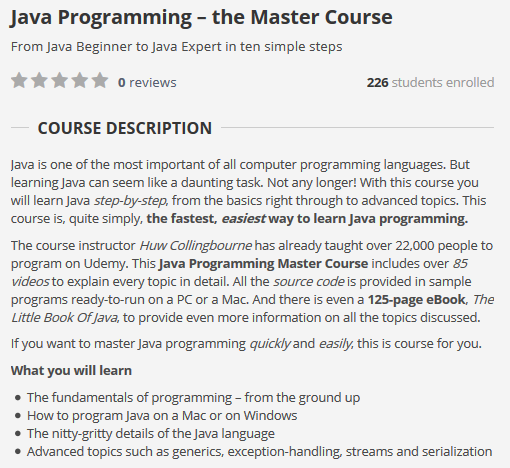 Yes, another important component of my course is the eBook - The Little Book Of Java. This is supplied as a 125-page PDF book containing ten chapters that correspond to the ten steps of the online course. Some people prefer only to watch the videos. However, I know that many people find a detailed course text invaluable, both because it can be used to review the topics taught in the videos and also because it provide an fast way to look up specific information rather than having to try to track it down among the videos (there are 86 videos, so finding a particular bit of information is much faster using the book - and once found, you can also watch the matching video if you wish to). The course covers a lot of ground and aims to be accessible both to the programming newcomers and to programmers who already have experience in some other language but are new to Java. 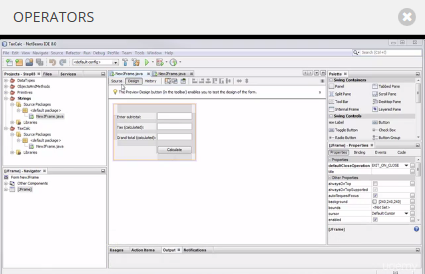 How does NetBeans help in the context of the course? I decided to use NetBeans because it is easy to install and easy to use. I considered using Eclipse but I must say that I prefer NetBeans, which seems to me to be neater and more user-friendly. I wanted to be sure that even complete newcomers to programming would be able to get everything set up and start writing code without the IDE 'getting in the way'. NetBeans fits the bill perfectly! Being able to create project groups from disk folders was a convenient way of distributing the source code in the form of groups of related projects for each separate step of my course. I also like the visual designer, the code editing, code-completion and the debugger. What's more, I wanted to be sure that my course could be followed both on a Mac and on Windows. I decided that NetBeans provided a very nice environment on both those platforms. What's your own background in programming? I first began programming Java just after it was launched about twenty years ago (how time flies!) and for a few years I was the Java columnist for PC Plus Magazine in the UK. I used all sorts of different IDEs in those early days, and some of them made developing applications into a real battle! At that time, I was developing mainly in Pascal using Delphi and I believe that NetBeans itself was inspired by Delphi (Wikipedia says it was originally called Xelfi, but I have to say I don't remember it that far back). At any rate, the tight integration of visual design, editing and debugging seems to me an essential in the modern programming world. NetBeans gives me all I need as a developer and it is also simple enough to use that I can very rapidly teach my students all they need to know to begin developing in Java. Thanks Huw and all the best to you and your students with the course!